Algeria, Andorra, Argentina, Austria, Belgium, Belize, Bolivia, Brazil, Bulgaria, Chile, Colombia, Costa Rica, Croatia, Cuba, Cyprus, Czech Republic, Denmark, Dominican Republic, Ecuador, El Salvador, Estonia, Finland, France, Germany, Greece, Guatemala, Honduras, Hungary, Iceland, Ireland, Italy, Japan, Latvia, Lithuania, Luxembourg, Malta, Mexico, Morocco, Netherlands, Nicaragua, Norway, Panama, Paraguay, Peru, Philippines, Poland, Portugal, Romania, Serbia, Slovakia, Slovenia, South Korea, Spain, Sweden, Switzerland, Turkey, Ukraine, United Kingdom, Uruguay, Venezuela. 1. Email a legible colour copy of both sides of your license to reservations@gocarbarcelona.com (a pdf. Format is the best) and your contact details just in case. 2. Pay the €15 cost for the certified translation online (using this product page). 3. On the day of your tour we will present you with your translated license, which is valid for driving in Spain for up to 6 months. 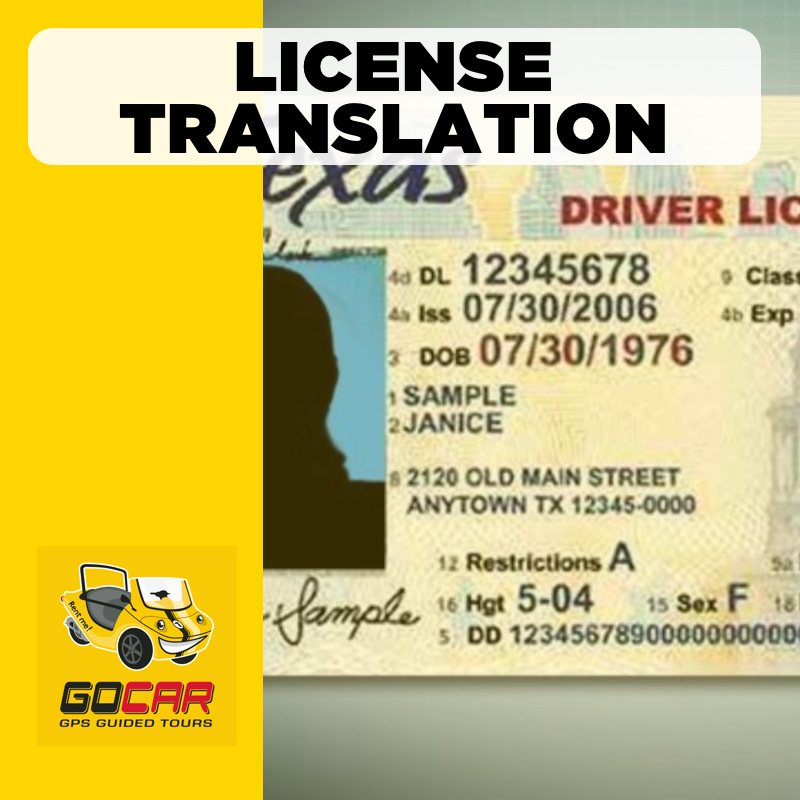 You are still able to rent a GoCar without an international license or an official translation and be covered by our third party insurance. However GoCar will not accept any responsibility for any potential fines or costs incurred.